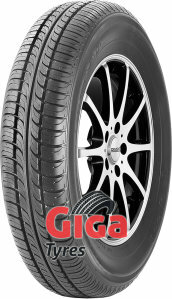 Giga-tyres.co.uk is your UK specialist for vintage tyres. If you are an avid collector of classic, vintage or veteran cars, you will certainly appreciate our selection. If your old tyres are simply not standing the test of time, you can order white wall tyres or some of the other classic wheels that we stock. While ww tyres are no longer in use for modern cars, these white tyres are all the rage with collectors. Purchase both classic car and motorcycle tyres and let yourself be surprised by the great deals that we have in store for you. We constantly keep a steady supply of vintage wheels on hand in order to be able to deliver your order as soon as possible. Providing discounted tyres to classic and vintage car owners is definitely one of our declared specialities, which is why so many collectors rely on us. Of course, we bring you some of the highest quality veteran tyres around. As such, you are not going to have to compromise on quality when shopping these classic tyres. Check out the Michelin classic tyre range, for example and find out what we mean. As your classic tyre specialist, we promise to offer you as many Avon tyres as possible as well. Dunlop is one of the other trusted brands that we work with when providing you with tyres for your classic motor car. These tyres will greatly enhance the appeal of your collectors car, which is truly great news if you are looking to sell your vintage car as well.